Earlier in the year I had a series about the Disney wedding dresses by Alfred Angelo. As I finished the collection with the veils and jewelry, I announced that Alfred Angelo not only does Disney weddings, but has a series full of Disney prom dresses! Today I will be starting our journey through this collection, by showing you three to four dresses a week from the beautiful collection. Enjoy! Description: A gorgeous floor length with shimmer organza, rhinestones, crystal beading, sequins and metallic embroidery. My Opinion: Personally, yellow isn't my favorite color, but I love how much this looks like Belle's dress, so you can see the Disney inspiration. I would love to see the pink lemonade color, as well as maybe a purple (even though they don't have that option). Description: Floor length with metallic embroidery, taffeta, rhinestones, crystal beading and sequins. Has optional modesty piece and halter straps. My Opinion: I think this one is stunning. I'm curious to what Honey Do color would look like, but I'll assume a light green like the honeydew melon. I love the detailed bodice, and I do like this (I'm assuming) wild berry color. Description: Floor length made with net, rhinestones, crystal beading, sequins and metallic accents. Also has optional modesty piece and halter straps. My Opinion: Again I also see Belle's dress in this design, not just because it's yellow. The electric blue would probably be a stunning color, as well as the purple. Not sure if I really like that the net swoops and meets in the center area. Description: Floor length made with net, crystal beading, pearls, sequins and rhinestones. Also comes with optional modesty piece and halter straps. My Opinion: This is an adorable dress! Reminds me of Cinderella (of course). 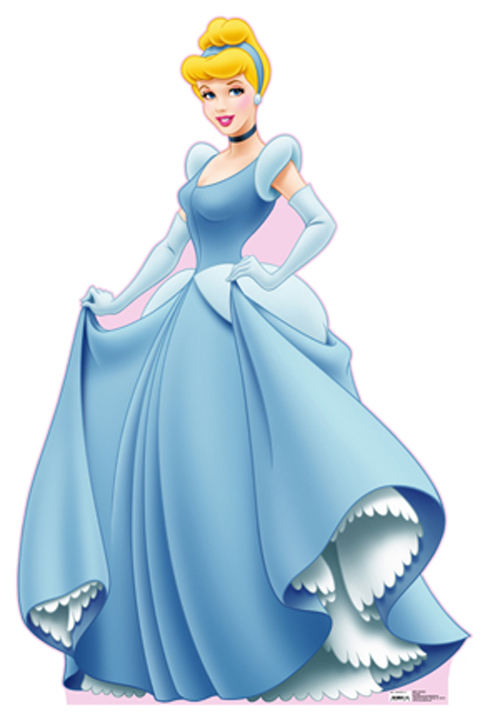 The design also reminds me of Cinderella's wedding dress from the designer's collection. I bet the other color options look just as cute and beautiful as the blue. This concludes our first set of Disney prom dresses! What did you think? This makes me wish I was back in high school shopping for dresses...but then again it's probably better because there's no way I could afford something like this without feeling super guilty. They're fun to look at though! For more beautiful prom dresses and updates on all things Disney, subscribe to The Disney Den now! The Disney Den is on Tumblr, Facebook, and Twitter! The first Belle dress would be PERFECT for Halloween! How fun are these!? I especially love the blue one at the bottom. Wish they were around when I was in high school! I agree! The blue is one of my favorites :) It would be so much fun to have one of them for prom!